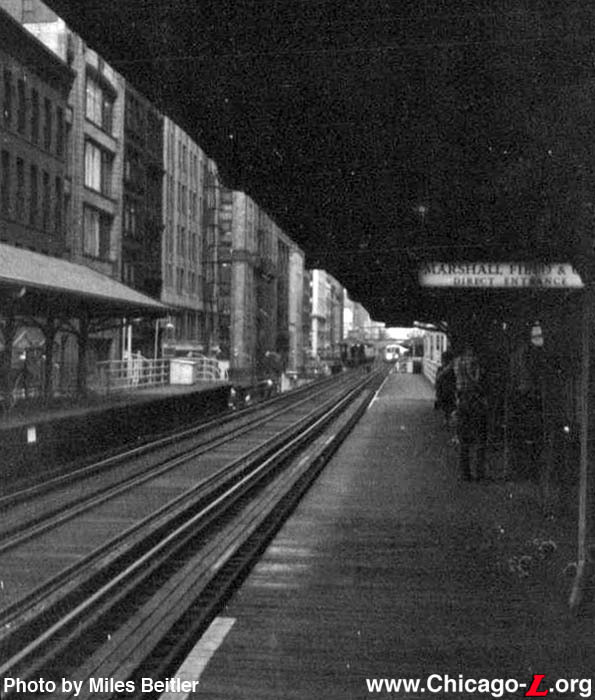 The structure between Adams and Lake was placed in service November 8, 1896: thus activating the Randolph/Wabash station. 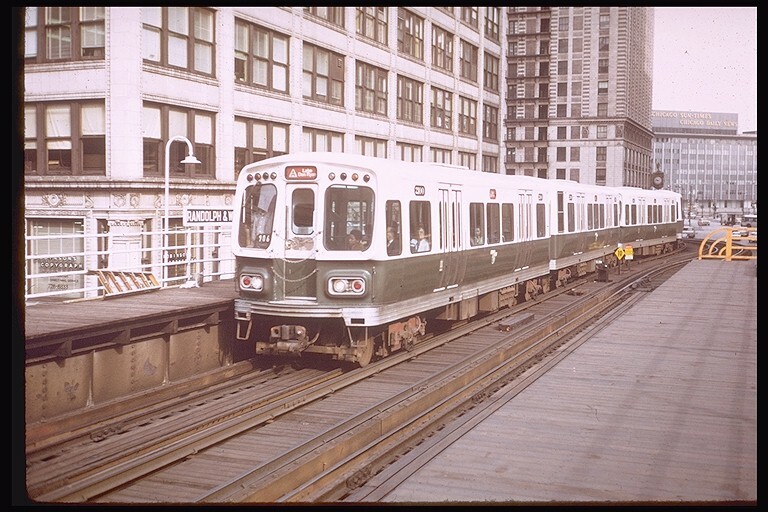 At this point, the only section in service was the L formed by the Lake and Wabash legs, meaning that only the Lake Street Elevated was connected to the system. The Lake Street operated the first train here and had their tracks (and direct downtown access) to itself for the time being. 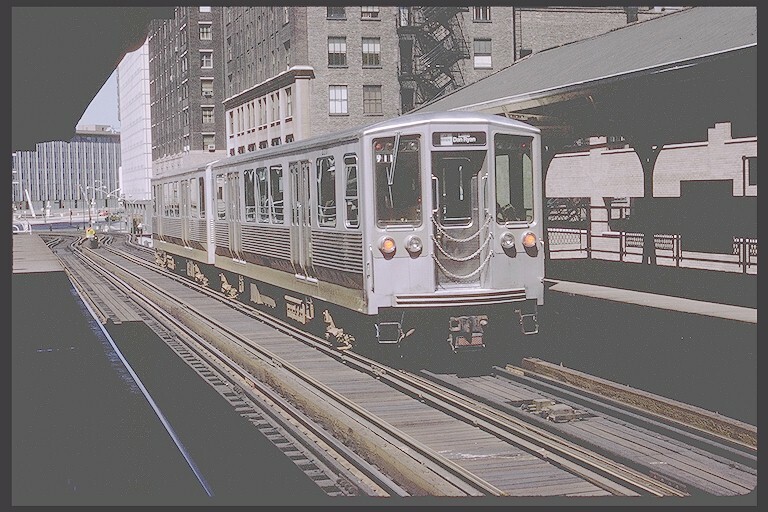 Trains were operated bidirectionally using the right-hand track until the entire Loop was opened. 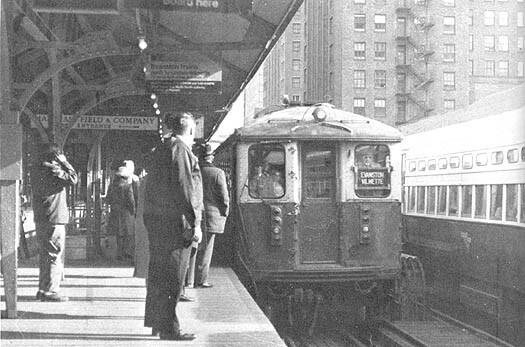 The first Metropolitan "L" train used the station on October 11, 1897 and the South Side followed suit on October 18. 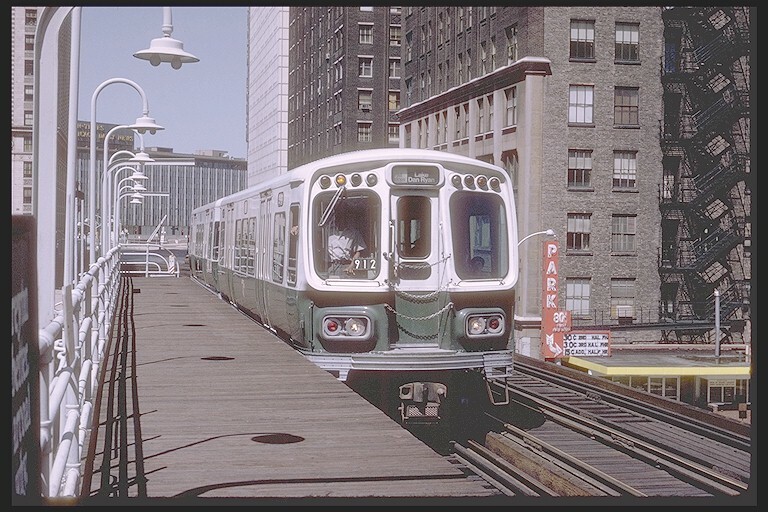 The original station houses were very similar in design to those Madison/Wabash (Inner Loop building still existing, Outer Loop removed) and Adams/Wabash (removed). Constructed of pressed metal, it had a low-pitched roof, Corinthian pilasters, window surrounds resembling the Baroque style and cartouches along the roofline. In 1955, the Randolph station began an extensive retrofitting that included the demolition of the original station houses. The west side (Inner Loop) station house was replaced with a new station house joint financed by the CTA and Marshall Fields department store. This new inner station opened June 17, 1957 with a direct entrance to Fields. The cost of the station house was $110,000, $40,000 of which was paid by Fields. The station included concession space, fare collection facilities, a waiting room with seats, and other amenities. It also features a large steel CTA shield-type logo of the design used in the early-to-mid-1950s on the west elevation of the exterior. Interestingly, this is the only "L" station with an interior waiting room still being used in that capacity. In the mid-1960s, the Outer Loop station house was removed and replaced with a painted metal and plastic enclosure with a pitched roof, with fare collection on the platform. 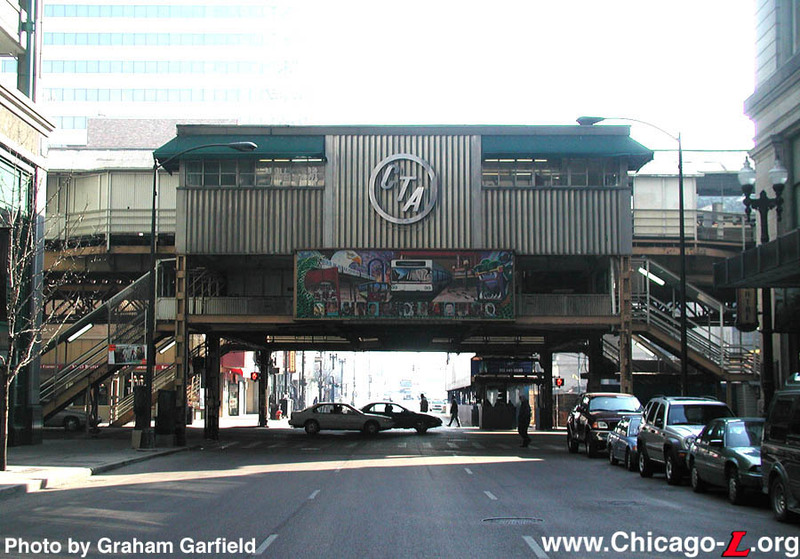 Artwork by Gallery 37 was added to the Randolph/Wabash platforms and the exterior of the station over Randolph Street in 1997 as part of an Adopt-A-Station project. The Randolph/Wabash and Madison/Wabash stations have been targets for demolition and consolidation for some time. 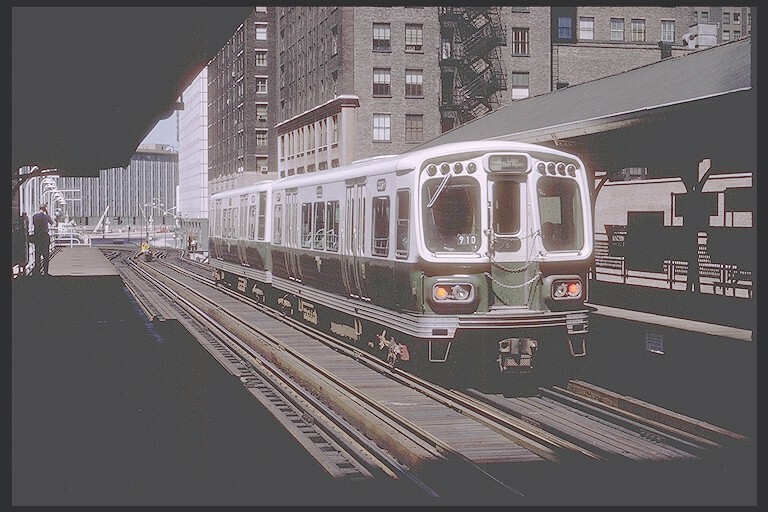 As early as November 1981, CTA planned to demolish them and construct a new facility at Washington/Wabash. 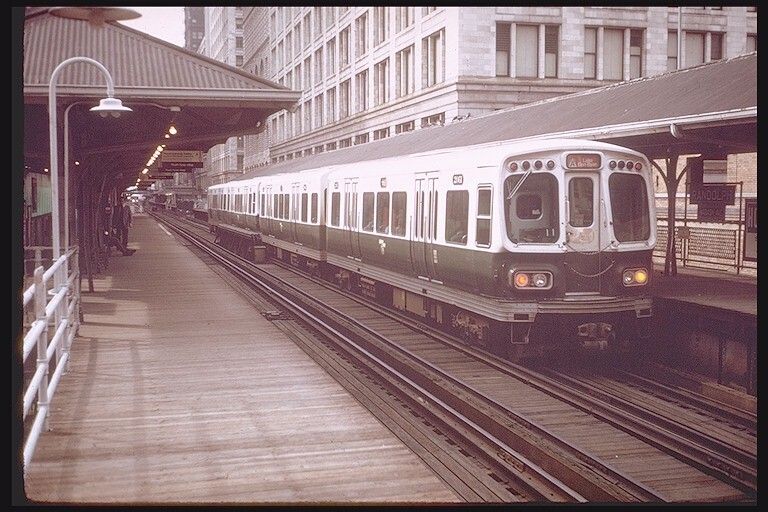 In January 1983, the "Loop Station Renovation Project (Wabash)" included retrofitting the Adams/Wabash station (with construction proposed for the latter part of 1983) and the construction of the Washington/Wabash station in 1985, with Randolph demolished in June of that year. The plan was regularly resurrected ever since. 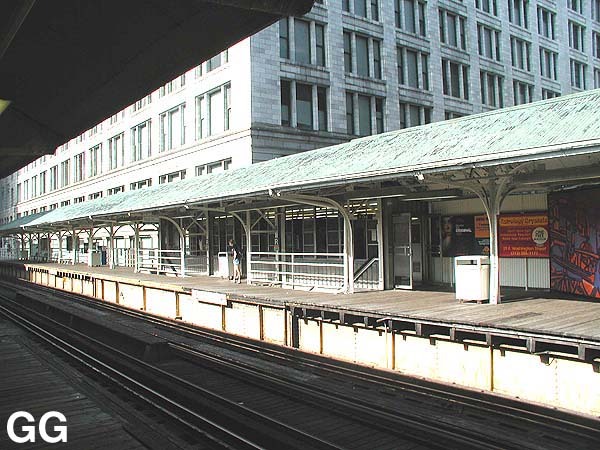 More recently, a plan discussed by the CTA in 1998 had the new station placed between Randolph and Washington. In this $29 million version, the new station was to have entrances and/or transit card gates on Randolph, Wabash and Washington. 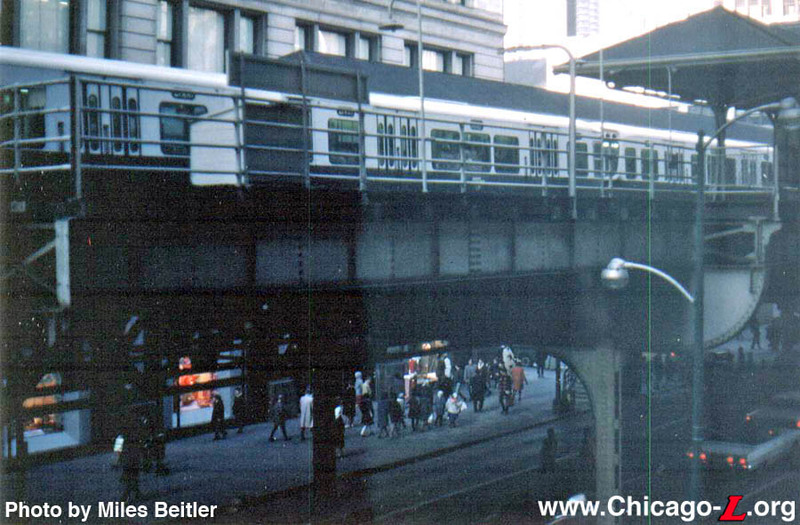 On September 11, 1998, when the CTA announced that they planned to permanently close the State/Lake and Madison/Wabash elevated stations and replace the Randolph/Wabash facility with a "super station." 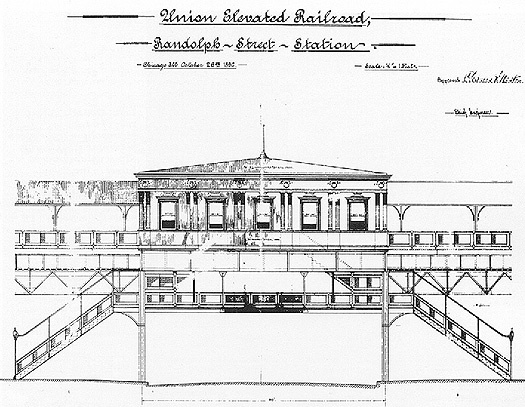 Supposedly combining function, aesthetics and the need to replace "L" structures that date to the 1890s, the new station would have become the third-busiest station in the CTA's 142-station system and would've included a pedway connection to the Red Line subway one block away. The design of the new station, which is undergoing final review by officials from the city, the CTA and the Greater State Street Council, was described as a traditional, but modernized version of the Madison/Wabash station. 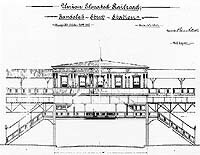 As part of the construction work, the entire elevated structure was to be rebuilt from Lake to Washington Streets and the supports down the middle of Wabash would've been replaced by columns anchored along the curbs. The consolidation plan languished for several years after, but did not disappear entirely. 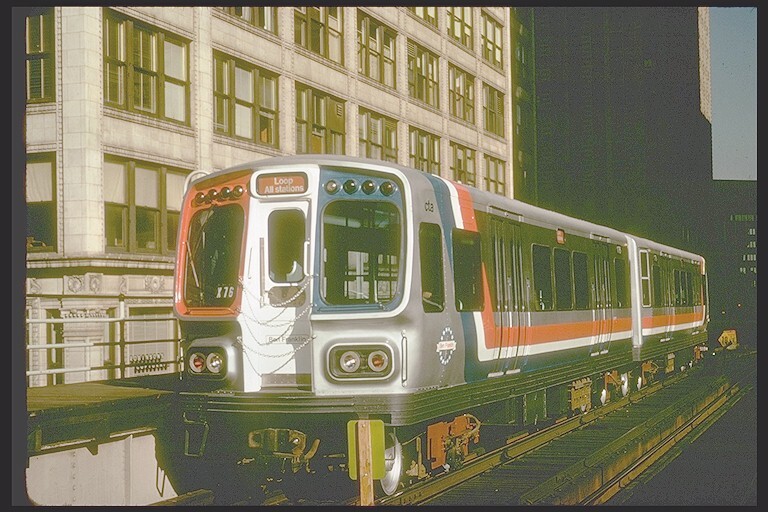 The designs from the late-1990s were apparently shelved, as the plan to consolidate three stations -- State/Lake, Randolph/Wabash and Madison/Wabash -- was revised in favor of only consolidating the latter two, leaving State/Lake to be replaced with a new station facility east of State Street. 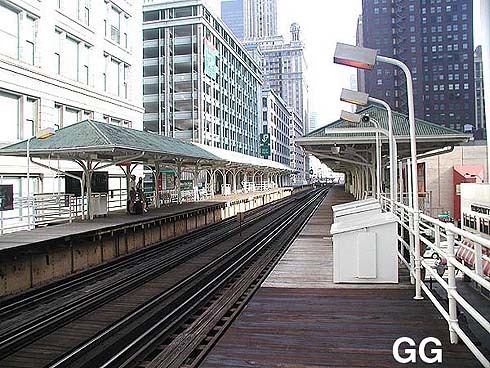 An intergovernmental agreement was approved at the April 3, 2003 CTA Board providing $1 million to the Chicago Department of Transportation (CDOT) for preliminary design and engineering work for the construction of a new station at Washington and Wabash. The CTA will work with CDOT to design the station. Accessibility at the new Washington/Wabash station will be provided by both elevators and escalators. There will also be stairways to both platforms. The platforms will have bright lighting, a communications system with both digital and audio messaging, and windbreaks equipped with overhead heaters for customer comfort during inclement weather. The new facility, to be located between the existing facilities, will be large enough to accommodate customer traffic at both locations. 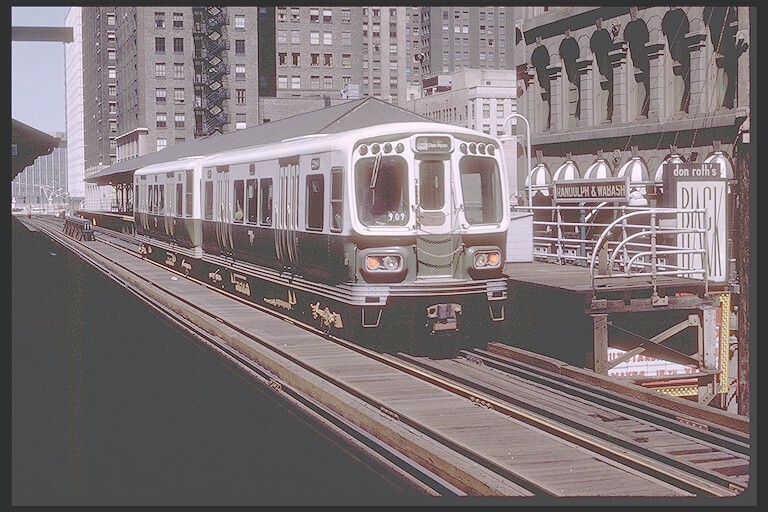 The planned construction of a new Washington/Wabash station mirrors work completed on the Wells side of the Loop in the mid-1990s. 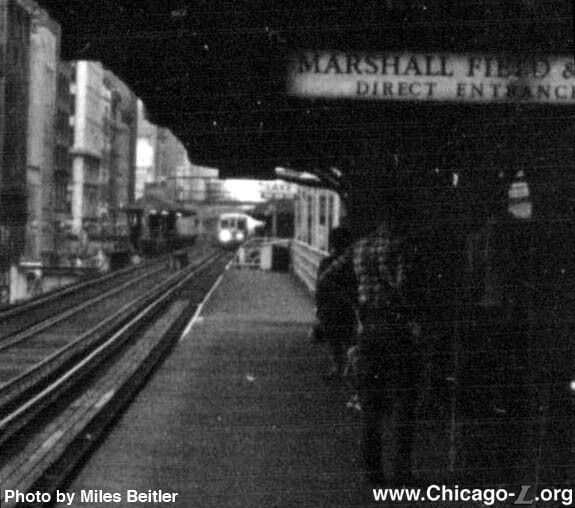 There, stations at Randolph and Madison were also demolished and replaced with an intermediate stop at Washington. 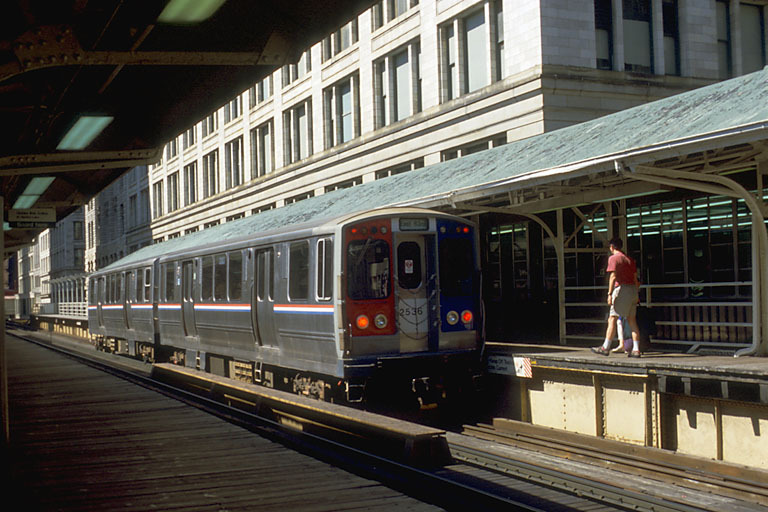 This reduced the number of stations on the west leg of the Loop from three to two, the same number as on the north (Lake) and south (Van Buren) legs of the Loop Elevated (the latter achieving two stops after the opening of Library station in 1997). 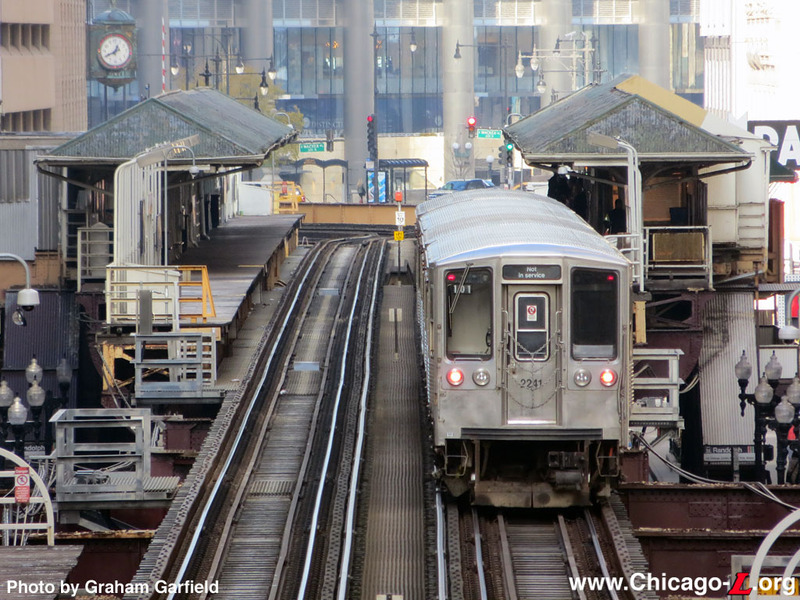 Replacing the Randolph and Madison stations on the Wabash side will put two stations uniformly on all four sides of the Loop. The new Washington/Wabash station, like its Wells Street cousin, will seemingly be not over Washington itself but between Washington and Madison, with the south portion of the station probably continuing over Madison Street. This is borne out by the staging of the project, in which the first phase will require closing and demolishing the Madison/Wabash station to allow new construction to begin. The Randolph/Wabash station is to remain open until the new station is completed. 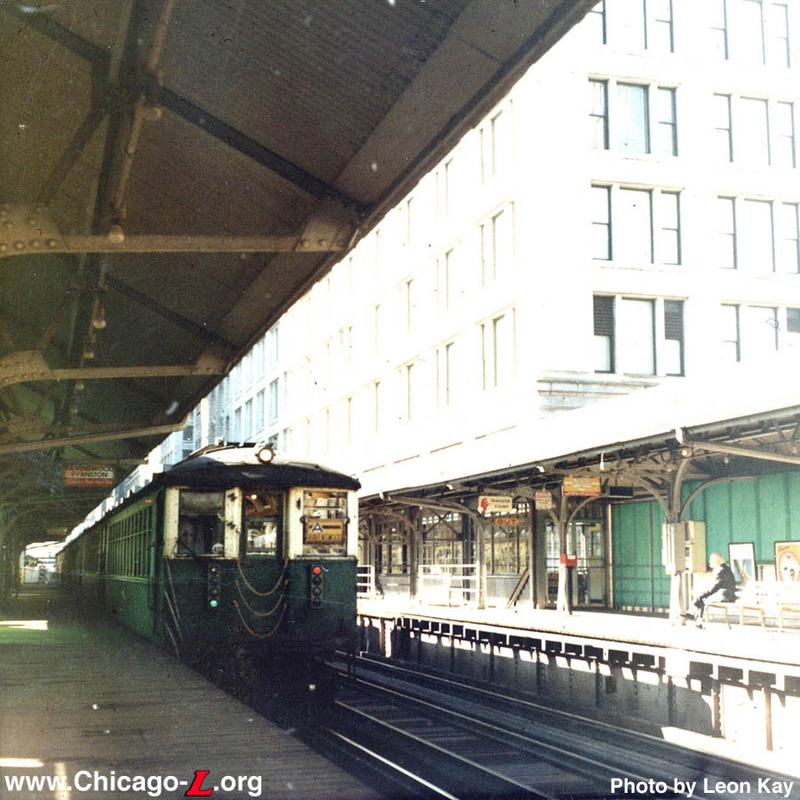 The loss of the Randolph/Wabash Inner Loop station house would represent an unfortunate loss to the history and architecture of the Loop, as its 1950s design is unique to the system and is one of the last stations to have a functioning waiting room. Randolph also has its original canopies and railings intact. Details about the project will be determined when the design is finalized. For more information about the proposed station consolidation, see the Washington/Wasbash page. Randolph/Wabash station closed at 2:30am, Sunday, September 3, 2017, replaced by the new, fully-accessible stop at Washington/Wasbash that had opened three days earlier. Demolition of the Randolph/Wabash station commenced soon after its closure. 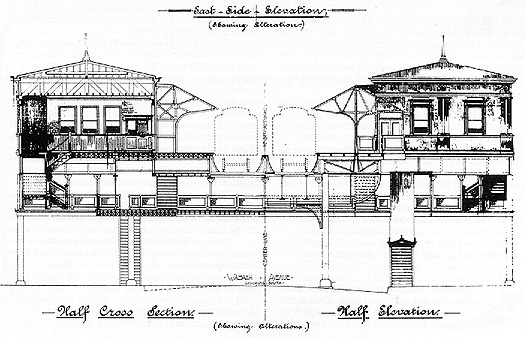 By mid-September, the canopy on the Inner Loop platform had been almost completely disassembled, with the wooden decking and railings from the south half of that platform had also been removed; the Inner Loop station house was largely gutted, though its shell remained. By the end of September, the Outer Loop canopy was beginning to be dismantled. By the beginning of October, the Inner Loop platform stringers were completed gone, save for those around the station house. By late of October, the structure of both platforms was completely gone, and the station house had been completely dismantled. All that remained was the base elevated structure on which both the Inner and former Outer station houses had sat. Over the weekend of October 27-30, 2017, Randolph Street closed between Michigan and State to allow for the final demolition of these structural elements, as well as the replacement of the track structural steel over the intersection. The 'L' structure spans over Randolph Street used up-turned girders, to provide greater clearance between the bottom of the stringers and the street below for the mezzanine-level walkway that was part of the station. These up-turned girder spans were removed and replaced with normal girder spans because without a station there was no longer need for added vertical clearance, they were in need of refurbishment anyway, and without need for a special structure type it was preferred to replace the spans with a more typical straight span system. At the end of October 2017, there were few remaining elements to suggest there had been a station at Randolph and Wabash.